The topic of sleep has always been something thatâ€™s fascinated us here at The Vurger Co.! Weâ€™ve put together an easy guide to help you to understand a little more about sleep and how to optimise your own sleeping habits, along with some of our favourite facts about sleep that you may not have heard before! Although we donâ€™t have any concrete scientific answers, researchers believe broadly that itâ€™s to allow our bodies and most importantly brains to recover. In the daytime our brain cells build and create connections with other parts of our brain as a result of new experiences. 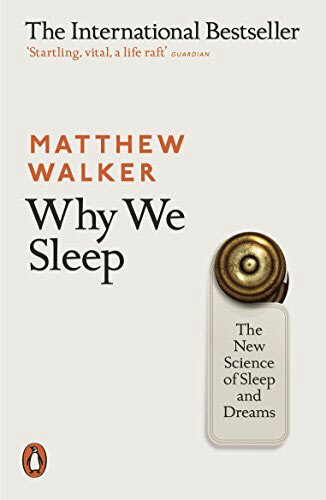 While we sleep itâ€™s believed that our brains do maintenance on these new formations, disposing of the unimportant â€˜wasteâ€™ connections and making the important connections even stronger. At the time of writing, the recommended amount of sleep for an adult is 8 hours per night. However, the optimum amount of sleep for each individual can vary anywhere from 5-10 hours, depending on the person. As we get older we statistically get less sleep, although the actual amount we require doesnâ€™t reduce greatly. 2. If it takes you less than five minutes to fall asleep, itâ€™s likely that youâ€™ve been sleep deprived. For those of you that have trouble sleeping at night. 3. The ideal time for a person to fall asleep in is between 10 and 20 minutes. If you take longer than this then it can mean youâ€™re coping with too much stress or anxiety! Get some really handy tips to help you here! 4. There are approximately 15 million snorers in the UK. ðŸ™‡ Need help on how to stop snoring? 5. Snoring affects 30 million people in the UK. 7. Women sleep more than men. ðŸ’� This is apparently because women are more likely to multitask, making the brain work harder and needing more time to recover. 8. Parents of newborn babies lose 6 months worth of sleep in the first 2 years of their childâ€™s life. ðŸ‘¼ Unlucky, parents. 9. Sleeping on your front can aid digestion. ðŸ¤°Check out the pros and cons of each sleeping position here. 10. Humans are the only animals that choose to delay sleep!ðŸ˜³ Strange when you think about it, huh?! 11. Creatives Beware! ðŸŽ¨ðŸŽ­You supposedly sleep more, but not as well, and later in the night! Check out the results of this study. 12. The record for the longest period of time without sleep stands at 264.4 hours â�°(11 days) and was set by a high school student in 1964. Donâ€™t try this one at home, folks. 13. 12% of people dream in completely black and white. Before colour television was introduced, only 15% of people dreamt in colour! Older people are far more likely to dream in greyscale because of this reason. Perhaps one day soon no one will dream in black and white?! Check out this article for an awesome insight into how much sleep different species need! 16. No one yet knows why we dream or what purpose dreams serve but there are several hypotheses. Itâ€™s believed we dream to help our memory- to sort through and store experiences and to â€œclean outâ€� the unneeded information in our brains, among other things. Check out what your dreams mean here! 17. There are many occasions where people have reported their deaf children or partners using sign language in their sleep. 18. We can dream â€˜too muchâ€™. ðŸ’­ðŸ’­ðŸ’­Ever wake up feel super tired after a night filled with lots of dreams? It's because your sleep cycle is unbalanced. Your brain is exhausted from too much REM sleep and not enough slow wave sleep to re-energize it. Learn more about your sleep cycle here! 19. The sensation of falling when half asleep and jerking yourself awake is called a â€˜hypnic jerkâ€™. No-one is totally sure why hypnic jerks occur but they are considered to be perfectly healthy. However, they may be increased by anxiety, caffeine or physical activity close to bedtime. They are more frequent in young people and decrease as we get older. 21. Sleep experts have discovered a direct link between peopleâ€™s favourite sleeping positions and their personalities. According to Prof Chris Idzikowski, one of Britain's leading sleep experts, there are 6 different sleeping positions, and those who sleep in the foetal position (41% of people in the UK) â€œmay appear tough but are actually sensitive souls right to their core.â€� Read even more about the professors study here! 22. Your sense of smell is decreased while you sleep. ðŸ‘ƒ Fire alarms were invented because we canâ€™t â€˜properlyâ€™ smell smoke while weâ€™re asleep. Many studies have shown that while noise can wake you up, smells wonâ€™t. 23. Those born blind dream with senses other than sight- such as smell, sound and feelings! 24. You get a little taller when you sleep! ðŸ›� You increase in height because the discs in your spine rehydrate without the weight of your body weight pressing down on them, which is what happens when you stand up. 26. Fear is said not to be the main emotion in nightmares. Surprising huh? Researchers have actually found that itâ€™s more often feelings of sadness, guilt and confusion. 27. Sleep deprivation and stress go hand in hand. The stress hormone Cortisol is one of the key players responsible for the fight or flight responseâ€”that jolt of energy you get when you feel super stressed or threatened that enables you to respond. Unfortunately, chronic stress can lead to excessive levels of cortisol, and this can disrupt healthy sleep patterns, in turn making you even more stressed! 28. Humans can sleep with their eyes open. ðŸ‘€Yes, we can in fact sleep with our eyes open, which makes it almost impossible for you to tell whether someone is actually sleeping or not. 29. In general, exercising regularly makes it easier to fall asleep and contributes to sounder sleep. ðŸ�ƒHowever, exercising vigorously right before going to bed will make falling asleep more difficult. We love a bit of yoga here at The Vurger Co.- Here are some of our favourite yoga postures to aid sleep, from Annie Clarke. 30. People that are paid more tend to get better sleep.ðŸ’°ðŸ¤‘ Not very surprising though! 31. Naps are good! ðŸ‘�No, this is not a drill folks! Several studies (including one from NASA and one from Harvard) have found that just a 20 to 30 minute nap increases our alertness and our productivity. You need to make sure youâ€™re hitting that 20 to 30 minute sweet spot though- too long and youâ€™ll fall into a deep sleep that can leave you feeling even groggier- too short and you donâ€™t have time to reach the correct restorative sleep phase! If youâ€™re lucky enough to be able to lie down for 90 minutes, your body should have time to make it through one complete sleep cycle where you go from the lightest stage through the deepest stage of sleep and back again, so youâ€™ll wake feeling refreshed. Itâ€™s believed sleeping for this long has been shown to boost memory and creativity! Woo! 32. Lucid dreaming is when we are aware that we have entered a dream state and are able to gain control over what happens in said dream! Cool huh?! Learn the ins and outs of lucid dreaming and how to make it happen for you here! *Created as part of a project by Dreem and The National Sleep Foundation. Thatâ€™s all for now folks!